The Belize Wildlife & Referral Clinic (BWRC) in partnership with the Wildlife Institute (WI) offers winter and summer open-enrollment veterinary courses for veterinary, vet-tech and qualified pre-vet students. In Summer 2016, the Wildife Institute offers two 1 month sections of Summer Veterinary Experience. The Summer Veterinary Experience includes two courses; Wildlife Medicine & Conservation and Small Animal Veterinary Experience (SAVE). The Summer Veterinary Experience is ideal for final year vet students seeking externship or clinical rotations, and first and second year students seeking hands on experience and an introduction to a range of diverse veterinary topics. 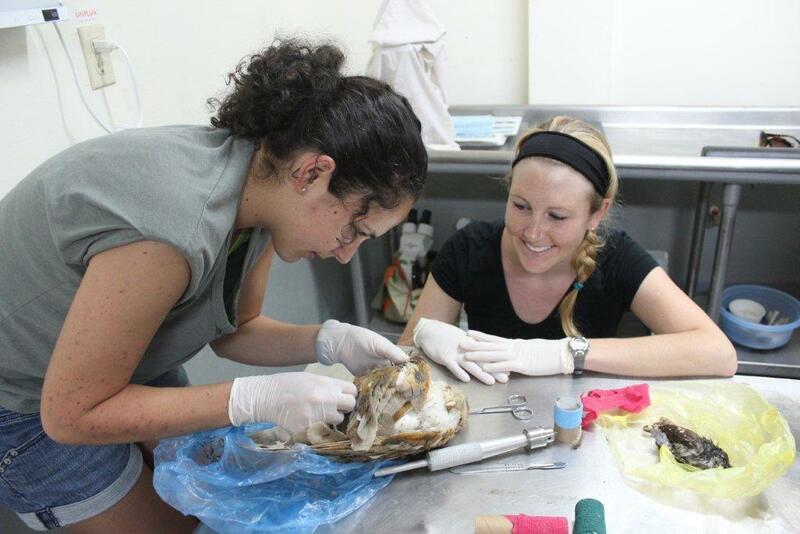 During Wildlife Medicine & Conservation, students join the BWRC veterinary team for a two week course at the clinic and in the field with wildlife projects around Belize and the region. During SAVE, students are introduced to essential clinical skills which they then put to use duing community health and spay & neuter clinics in communities around Belize. *In addition to our open enrollment courses, private and custom groups are also available. Contact Educational Program Director Justin Ford at jford@wildlife-institute.com for more details.